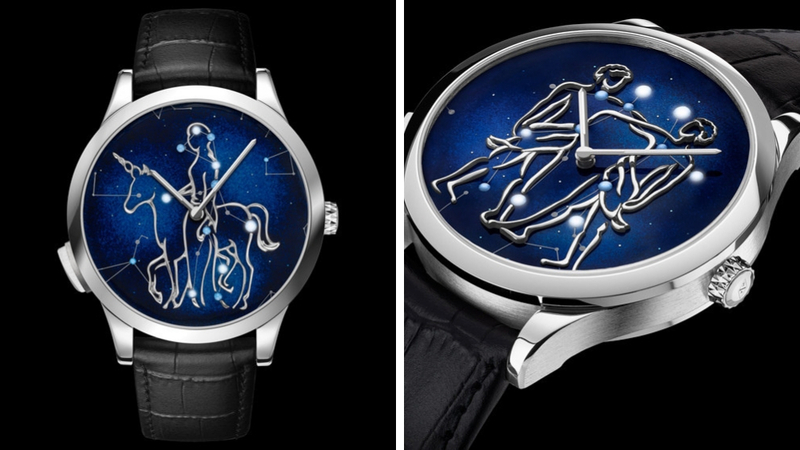 They won’t predict your future, but Van Cleef & Arpels’s Zodiac Lumineux timepieceswill certainly light up your wrist. 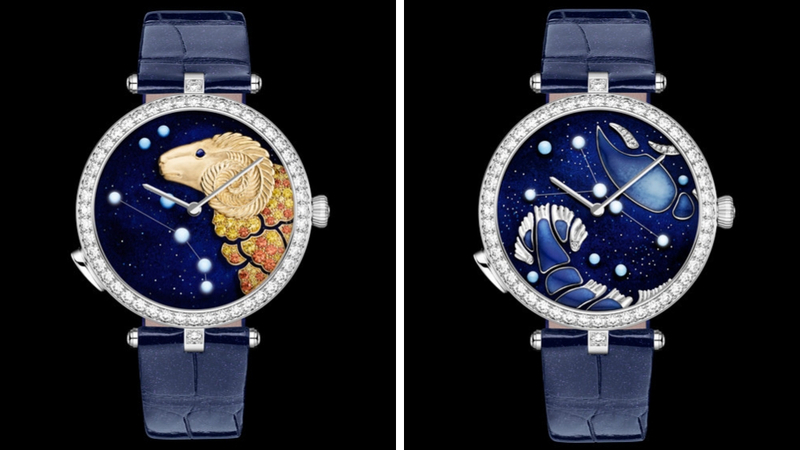 Following the release of the men’s Zodiac Lumineux timepieces (around $160,000) last year at SIHH (Salon International de la Haute Horlogerie) in January 2018, the Swiss watchmaker has unveiled the Lady Arpels Zodiac Lumineux versions (around $208,000). 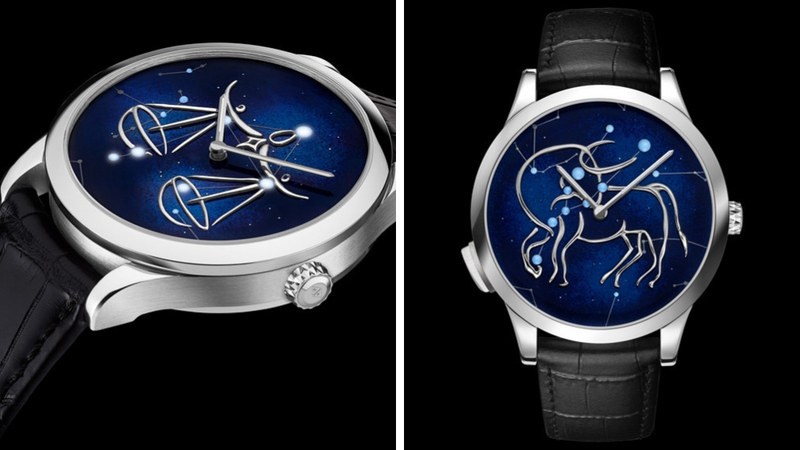 Both collections feature the 12 signs of the zodiac and the brand’s patented light-on-demand module, which illuminates each zodiac sign’s “stars,” made from enamel beads, on the dial via a pusher button. 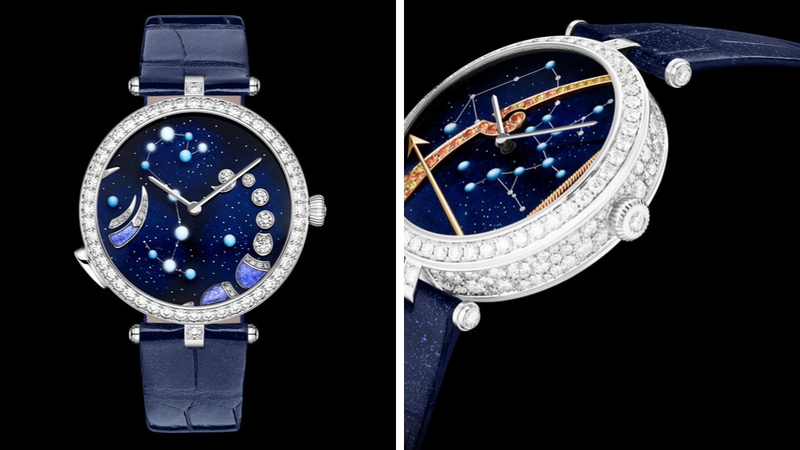 The technology first debuted in 2016 when it lit up the Aventurine dial ofVan Cleef & Arpels’s Midnight Nuit Lumineuse timepiece—also inspired by the heavens. The beauty of the light-on-demand module is that it’s not battery operated and doesn’t eat up the watch’s power reserve because it operates separately from the movement. That means you can show it off as many times as you like, if you don’t mind being that person that strikes up the astrology conversation at a dinner party. (Or, if you’re clever, you might use it as a subtle way to alert your significant other that it’s time to leave while you pretend to play with the watch.) The four to six LED lights within each timepiece are good for 10,000 hours and light up for four seconds at a time when activated, which means you can light up your wrist roughly nine million times, more than you will ever need to in a lifetime unless you are seriously obsessive compulsive. On both the men’s and women’s versions, the enamel bead stars, shaped by hand and mounted on the dial, light up against a midnight-blue Grand Feu enamel background that highlights the constellations. The women’s zodiac figures, however, are more elaborate in their rendering with white or yellow gold, precious stones and Grand Feu enamel used to bring to life the signs. Using the expertise of the brand’s enamel experts in Van Cleef’s Meyrin workshops in Switzerland, these dials show off what Van Cleef & Arpels does best. The stones and enamel correspond to the four elements to which the signs belong—green tones are used for earth signs like Taurus, orange for fire signs like Leo and gradations of blue and violet for both air and water signs like Libra and Cancer. Each zodiac animal has been so meticulously considered that even the nuanced expression of their eyes was carefully considered and internally debated.